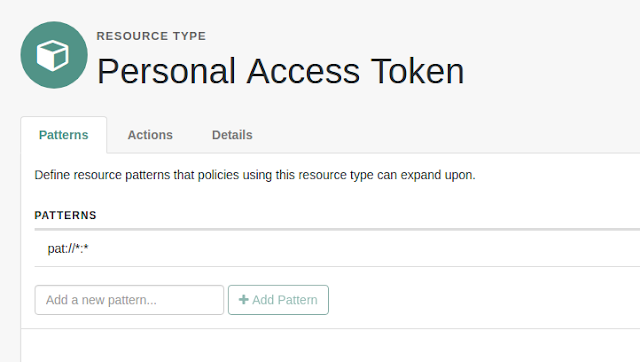 Personal Access Tokens (PAT’s) are used to provide scoped self-managed access credentials that can be used to provide access to trusted systems and services that want to act on a users behalf. 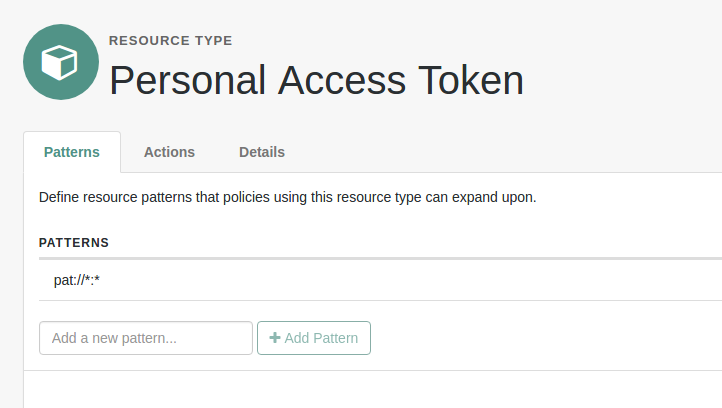 For example see the https://github.com/settings/tokens page within Github which allows scope-related tokens to be created for services to access your Github profile. The PAT can be an opaque string – perhaps a SHA256 hash. Using a hash seems the most sensible approach to avoid collisions and create a fixed-length portable string. A hash without a key of course wont provide any creator assurance/verification function, but since the hash will be stored against the user profile and not treated like a session/token this shouldn’t be an issue. The important aspect is where to store the PAT once it has been created. Ideally this really needs to be stored against the users profile record in DJ. I’d recommend creating a new schema attribute dedicated for PAT’s that is multivalued. 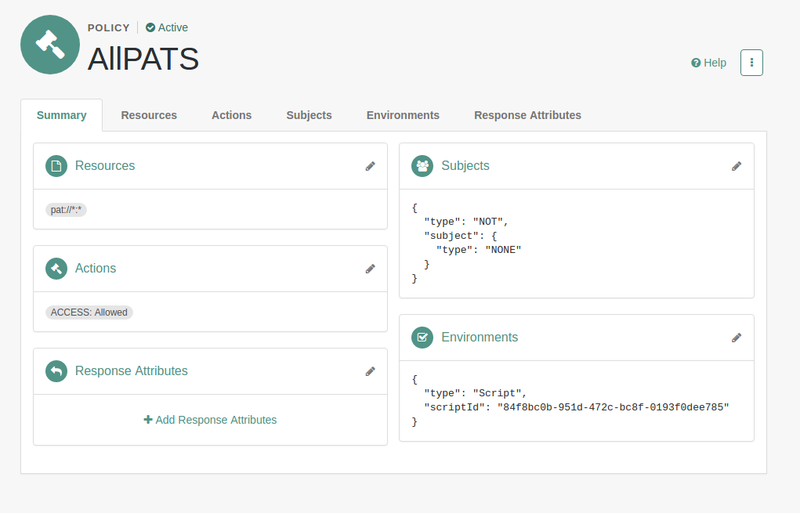 The user can then update their PAT’s over REST the same as any other profile attribute. Using a multi-valued attribute allows me to create any number of PAT’s. As they don’t have an expiration they might last for some time in the user store. Once stored, they could be used in a variety of ways to provide “access” within applications. 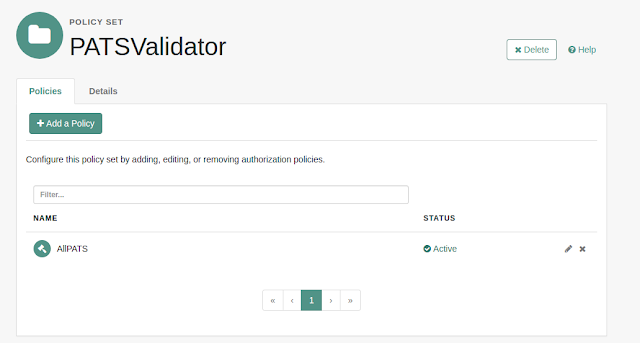 The most simple way, is to leverage the AM authorization engine as a decision point to verify that a PAT exists and what permissions it maps to. Once the PAT is stored and created, the end user can present it to another user/service that they want to use the PAT. That service or user presents the username:PAT combination to the service they wish to gain access to. That service calls the AM authorization API’s to see if the user:PAT combination is valid. Here I am calling the ../policies endpoint with a dedicated account called “policyeval” which has ability to read the REST endpoint and also read realm users which we will need later on. Edit the necessary privileges tab within the Admin console. Make sure to set the subjects condition to “NOT Never Match” as we are not analysing user session data here. The logic for analysis is being handled by a simple script.